Product Details-Material- Non-toxic vinyl rubber material, Dimension -10 cm, Size - Small and Medium , Use-Generate sound when your pet chews and squeezes it.Your pet will enjoy definitely, Suitable-All Breeds Dogs. 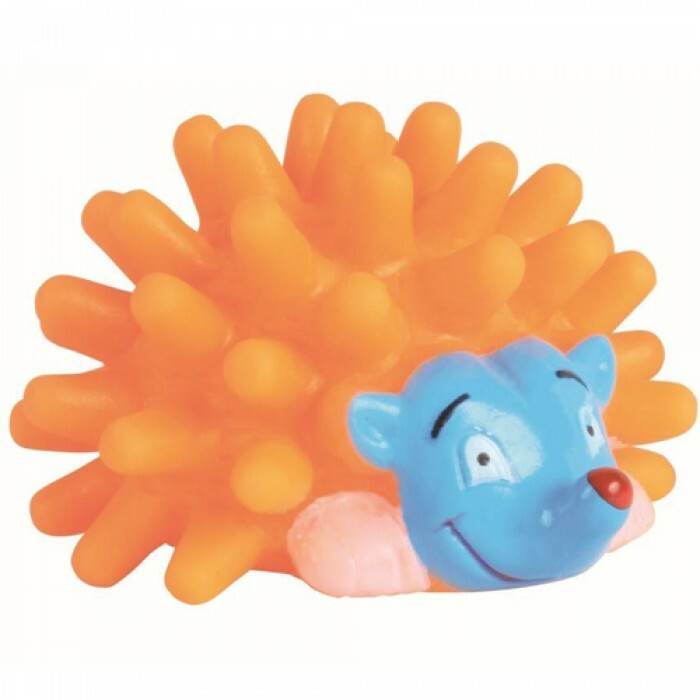 Product Information - Trixie hedgehog shaped squeaky toy is a great choice for your pet dog, Made from non-toxic vinyl rubber material, it causes no harm to your pet. It can give out sound when your pet chews and squeezes it. Available in various colours like red, orange, yellow and blue.